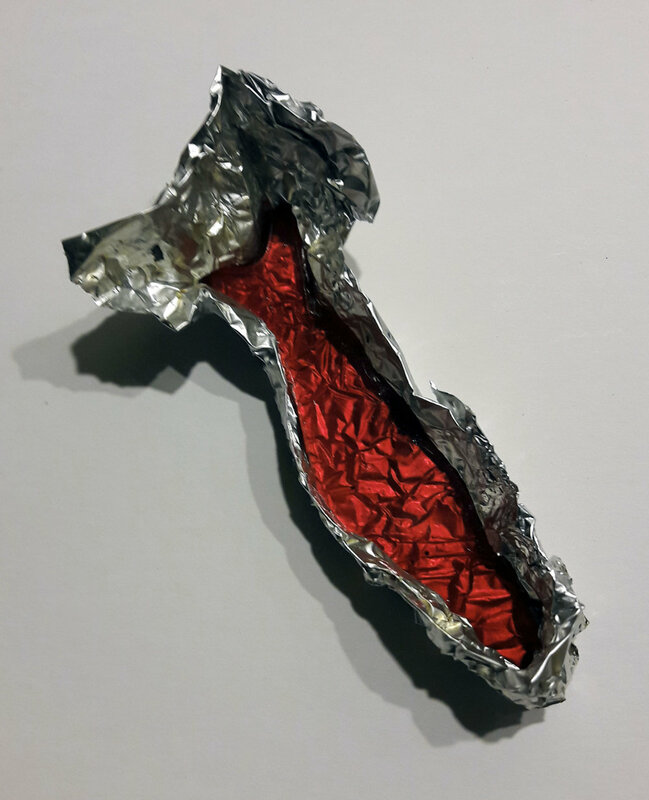 Made from red toffee during a live performance, each subsequent twist and turn mimics the seven movements those little palm-wrigglling Christmas cracker Fortune Teller Fish project on to us but do not know themselves. The only given is knowing that at some point the fish will melt, becoming a "dead one". But instead of being trapped in constant stasis like its traditional incarnation, this time the end brings freedom, vital and sweet.